Heat Oil in kadai . Take one bowl add Maida, ginger paste, garlic paste, salt, red chilli powder and mix well.add required water and make batter as pouring consistency. Take one plate add sesame seeds. 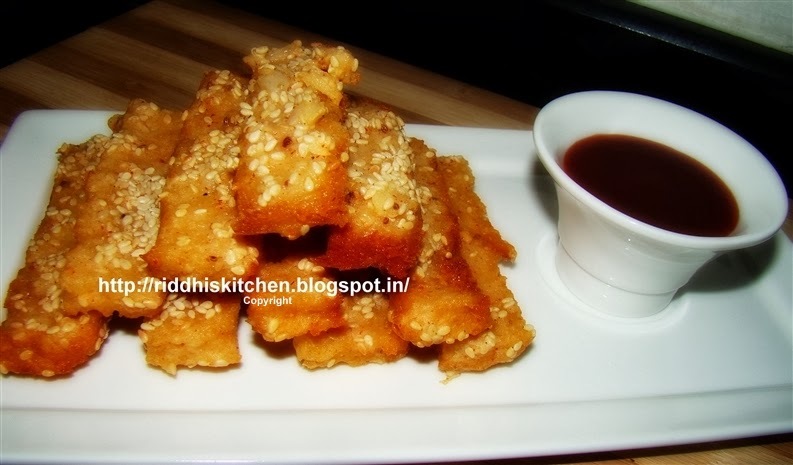 Take one bread strip, deep into batter, roll it with sesame seeds, and deep fry till golden fry. Serve hot with hot and sweet tomato catch up .